On November 15, 2012, the US Attorney’s Office for the Western District of Oklahoma announced that Robin R Lockwood was sentenced to 18 months in federal prison for health care fraud. Lockwood is a dentist in Oklahoma City. On top of her prison sentence, Lockwood is also ordered to pay $375,672.27 in restitution. Lockwood is licensed to practice in the state of Oklahoma, and she was employed by Ocean Dental at 1610 Southwest 74th Avenue. The dentists employed at Ocean Dental provided care to children who qualified for Medicaid. The Medicaid program provides care to people with low income through federal and state funding. Medicaid is provided in the name of “SoonerCare” in Oklahoma by the Oklahoma Health Care Authority (OHCA). Normally, Ocean Dental would submit claims to OHCA in order to receive reimbursement for the dentists’ services. If Lockwood provided the services personally, Ocean Dental would provide her with a percentage of the funds reimbursed by OHCA. According to court documents, Lockward attempted to defraud Medicaid from July 1, 2007 to December 31, 2010 by submitting claims for dental services that were never provided. In most cases, she would provide information on treatment notes that she made dental restorations to certain teeth when no such treatments to the teeth were performed. 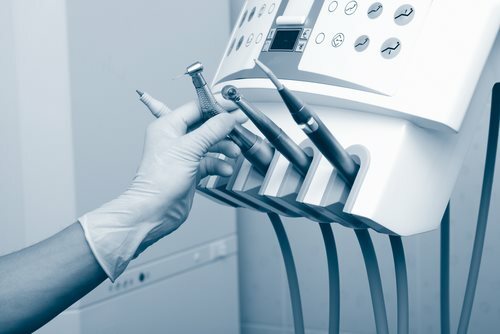 In other cases, Lockwood recorded that she used certain treatments on teeth when she actually used treatments that were not reimbursed through Medicaid. Lockwood admitted that she used the fraudulent funds for personal purchases. She pled guilty on July 11, 2012 and was sentenced today. The investigation was led by the FBI, the Department of Health and Human Services Office of Inspector General, and the Medicaid Fraud Control Unit under the State of Oklahoma’s Attorney General’s Office.